embassy.org Business Directories: Alpine Armoring Inc. Address: 4170 Lafayette Center Drive, Chantilly, Virginia, 20151. 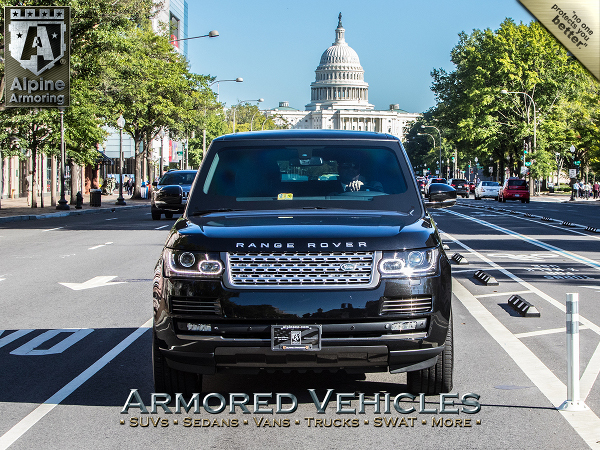 ALPINE ARMORING INC. is a multinational corporation, headquartered near Washington, D.C. and has manufactured high quality armored vehicles for more than 20 years. 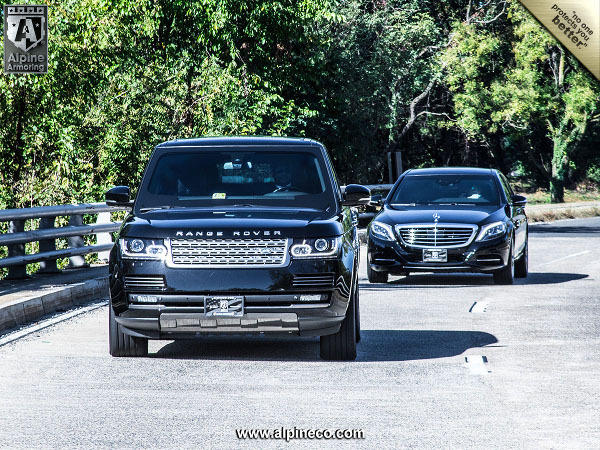 As an ISO-9001 certified company, Alpine Armoring is a pioneer of engineering and technology for armoring vehicles of all types. 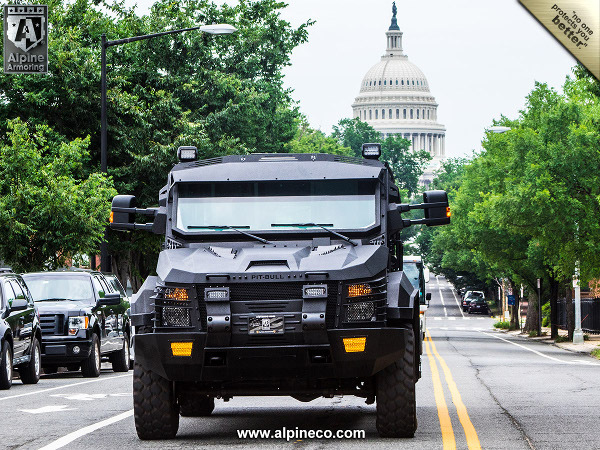 Alpine Armoring is an aggressive player in the design and manufacturing of highly specialized vehicles, including those used for personal protection, law enforcement, currency transportation, SWAT and additional governmental needs. 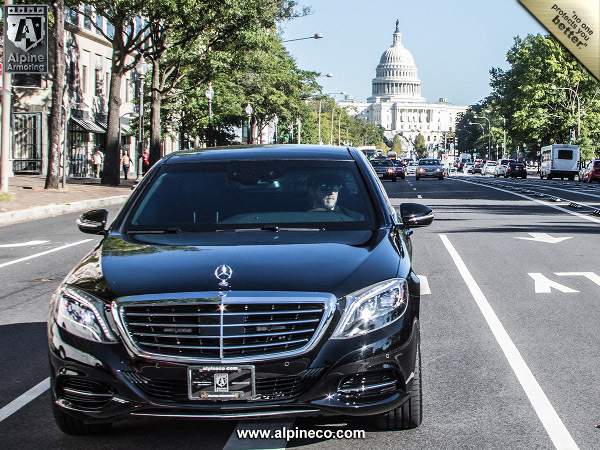 Alpine Armoring has thousands of satisfied clients both in the U.S. and worldwide thanks to their meticulous attention to detail along with a commitment to quality and service. 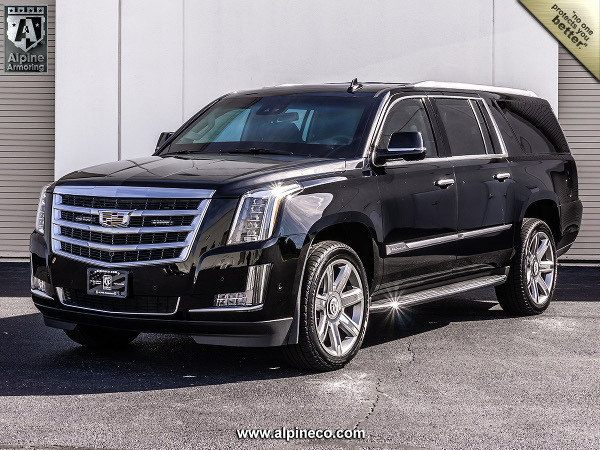 Alpine Armoring sets the standard for others to follow. 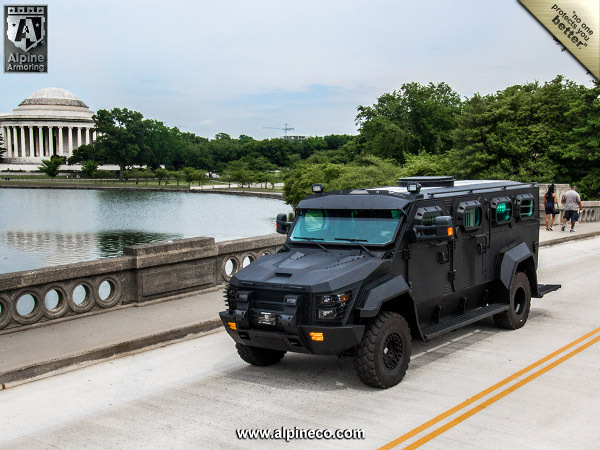 Our extensive list of clients includes the United States government, the U.S. military, multinational corporations, embassies, VIPs, foreign militaries, and law enforcement agencies. 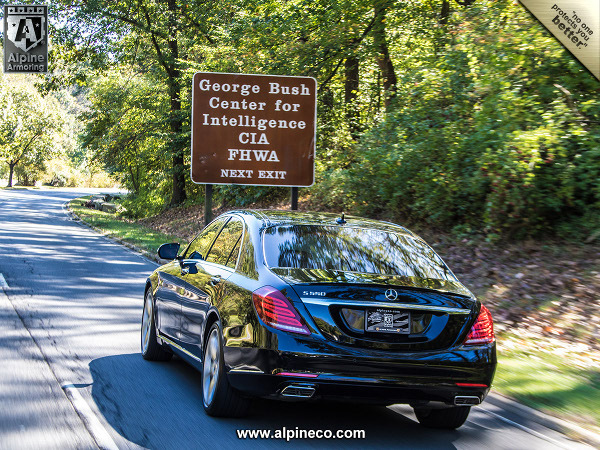 Alpine Armoring is both a GSA contractor and a registered/certified contractor for the United Nations and U.S. Dept. of Defense. 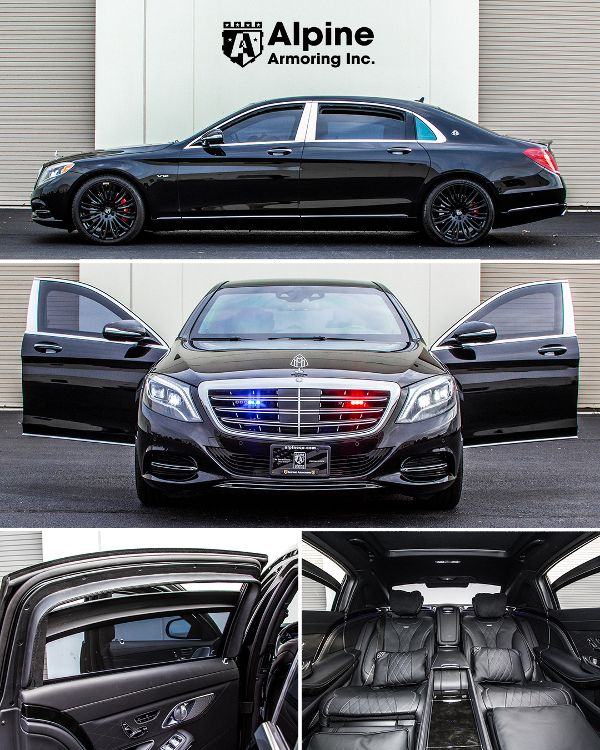 Our client's safety is something we NEVER take for granted. 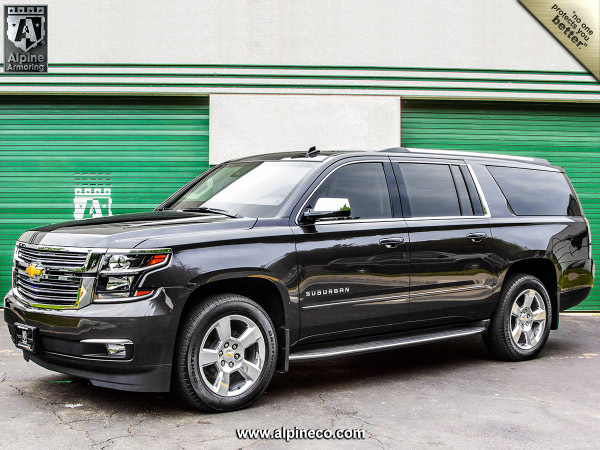 By leveraging the newest technologies, Alpine Armoring uses the most advanced manufacturing process to incorporate state of the art ballistic materials, including opaque & transparent armor, along with a variety of composites to ensure safer and better performing vehicles. 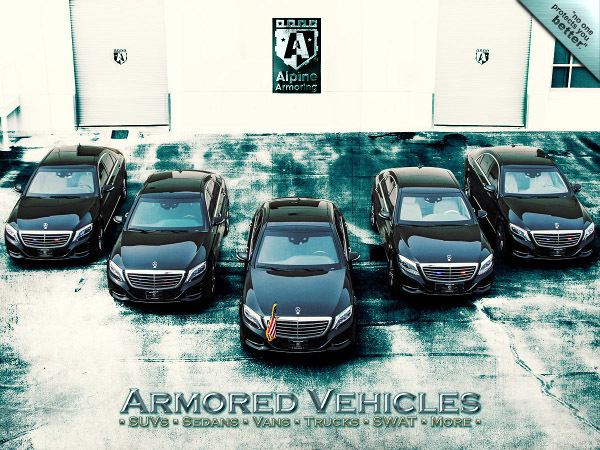 Alpine Armoring maintains a perfect record in the ever-changing world of specialty armored vehicles, it's proud to say that there's never been a single incident of armor penetration on any of Alpine's armored vehicles delivered to our thousands of its clients.